HomeIt all starts here ! We offer Bed & Breakfast accommodation in a friendly and spacious home. The relaxing ambiance and the friendly welcome will ensure that you will enjoy your stay. The house is newly built and is tastefully decorated. All guest rooms are en-suite, have TV’s and Tea & Coffee making facilities and are non-smoking. Family Friendly Rooms are also available. In addition guests have their own lounge where they can relax by the fire, read or watch TV. Breakfast is served in our dining room from 7am - 10am and is not to be missed ! Our breakfast menu is so tempting and varied, you'll be wishing you got up out of bed 30 minutes earlier ! You have a choice of the traditional Full Irish Breakfast, Homemade Waffles, Smoked Salmon Scones with Poached Eggs... and much more. If you have any special dietary requirements, these can be accommodated also. 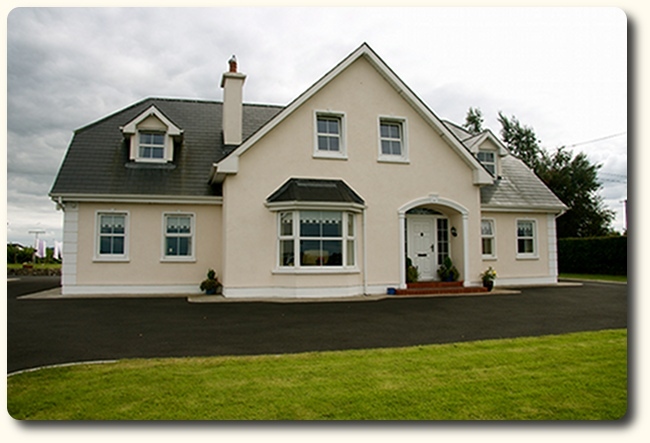 Abbeyview Bed & Breakfast is an ideal base for exploring the many amenities of Lough Derg and the Shannon region plus the many attractions in the mid and south-west of Ireland. We hope you enjoy your stay in our home.